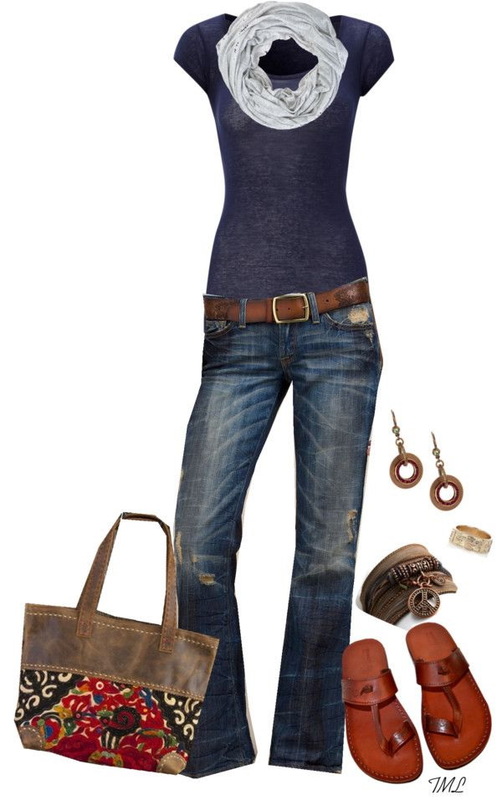 It's time to share with you my favorite casual summer fashion Polyvore sets for women over 40. You are about to know how to look great in casual clothes this hot season. This style is common for everyone. I know many ladies who wear only casual garments in their everyday lives. Sure, you can keep the your look more classy, but the overall spirit can be casual and fun. I hear lots of women who say that casual is something sloppy, slouchy and baggy. 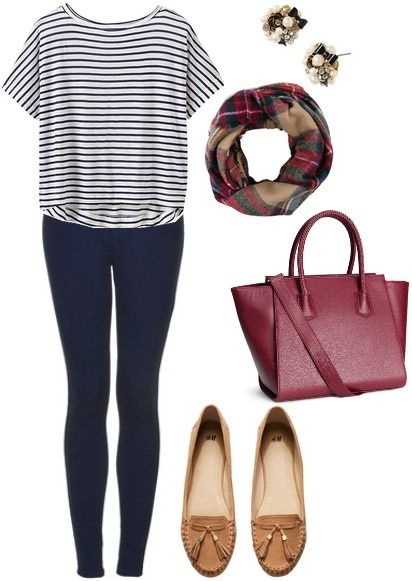 Believe it or not, but there are many ways to look both casual and stylish. If you do not believe me, then you better have a look through this compilation and let me know your thoughts in the comments below. 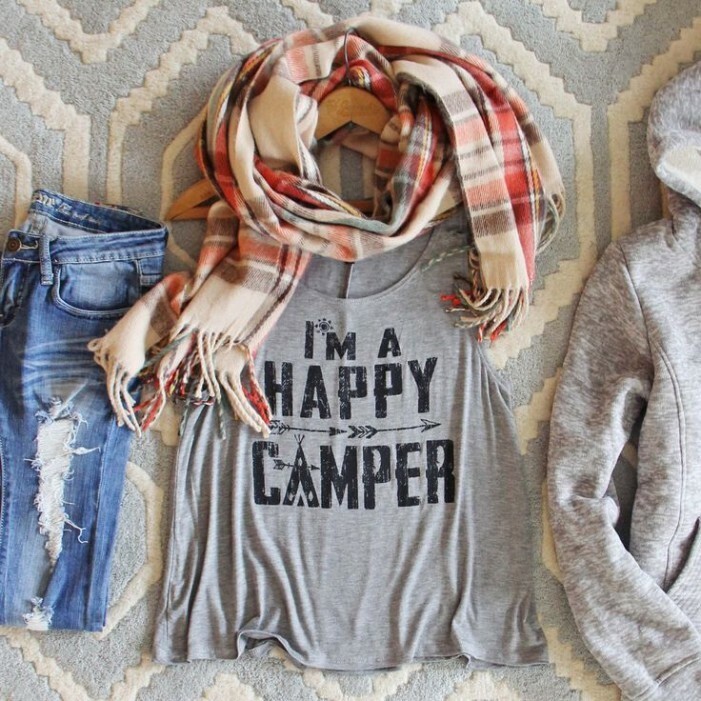 We see the most basic casual outfit. 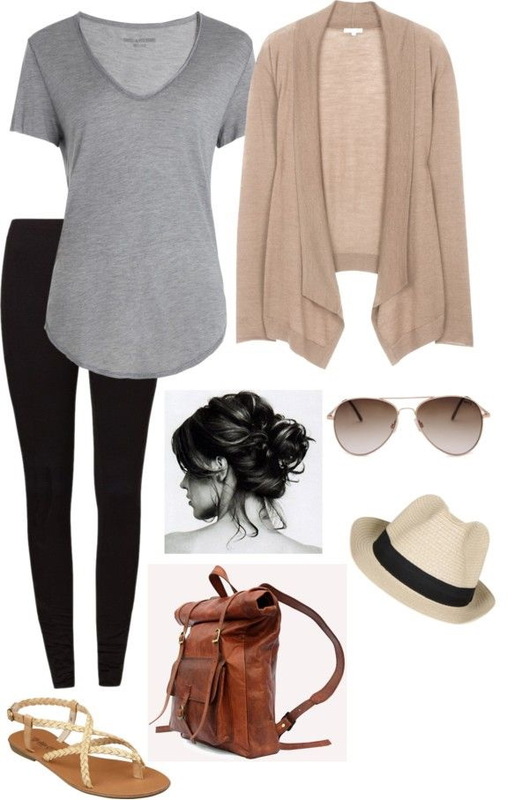 It consists of grey long T-shirt, black leggings, draped cream-beige cardigan, thong sandals, vintage brown leather backpack, aviator shades and stylish white-cream fedora hat. Personally, I do not like wearing boring and solid color T-shirts, as they look too much basic on me. I prefer bright and fun looks instead. Go for special designs completed with draping, prints, embellishments and eye-catchy details. It can be either cool tee or stylish button-down shirt. It's important to start from the basics. For instance, you go for solid color pants and top and complete them with cool accessories and toppers. 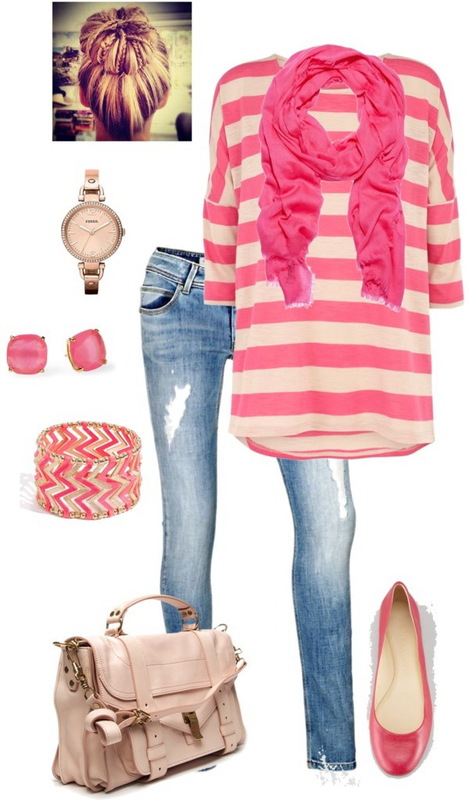 You have to always combine basics with fun and bright garments, so you look fresh and modern. Don't be afraid of fun colors and prints, you have to show everyone your uniqueness. Keep attention to good fit and perfect quality. Personally, I always stick to interesting cuts and details. Why? It makes be look bold and very special. 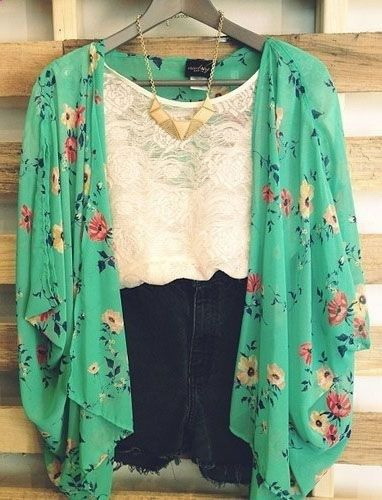 Your outfit has to look feminine, boho and chic. Go for relaxed and stylish essentials and underline your individuality by adding classic details and accessories. 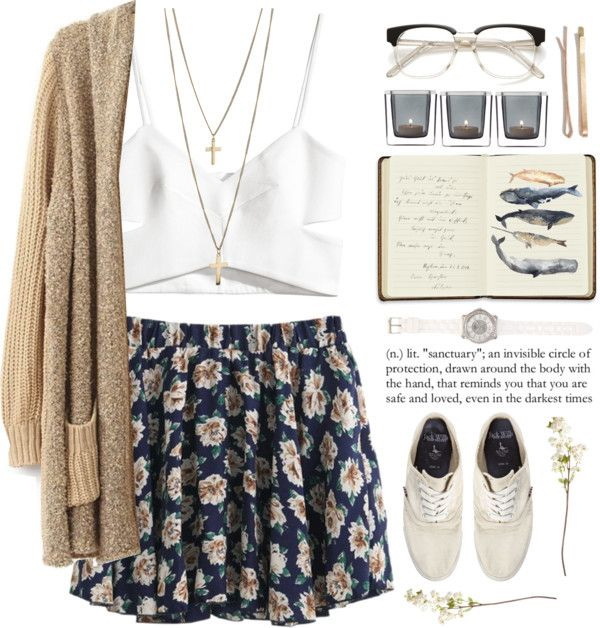 I really like to thank you for sharing your favorite casual summer fashion polyvore sets with me. 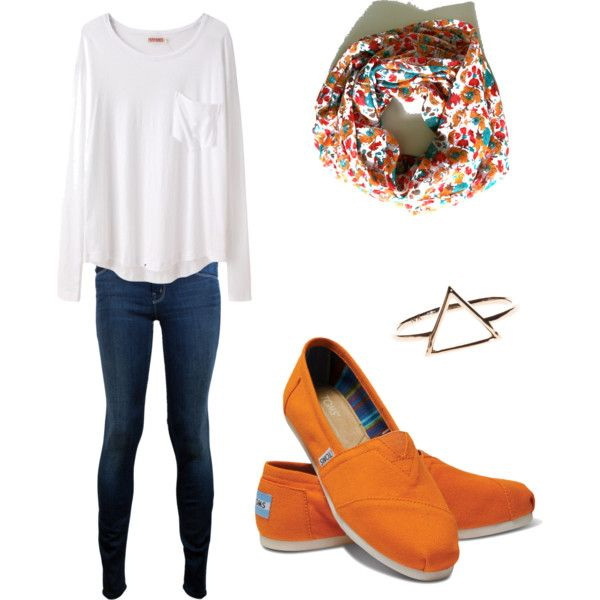 I personally love your casual style they look classy and stylish for any occasion. but honestly it’s how the person feel in there inerspirit. You did a grate Job! I found your website last night and was so inspired that I went into my closet today and came away with so many new and terrific outfits from clothes I already have! And I look great even if I am over 60! What a joy- Thank you! I got a lot great ideas thank you. Now I feel more confident shopping and won’t be worried about ‘trying to dress too young for my age’. I have a very Bohemian style and worry about embarrassing my 14 year old daughter in public if I happen to pick out pieces that are also in style for her age group! I can see that I can still get away with some of the trends and still be tasteful, sophisticated, and stylish. Lovely page.I hope receive emails from you. Thanks a lot for this.just turned 40 and want to maintain/adopt a good fashion sense. I usually regret clicking on style advice columns, because the looks seem unrealistic for everyday life, but I’m really glad I clicked on this. I love these outfits! Even someone as style challenged as I am can do this. There is hope after all! Lol. Thank you!